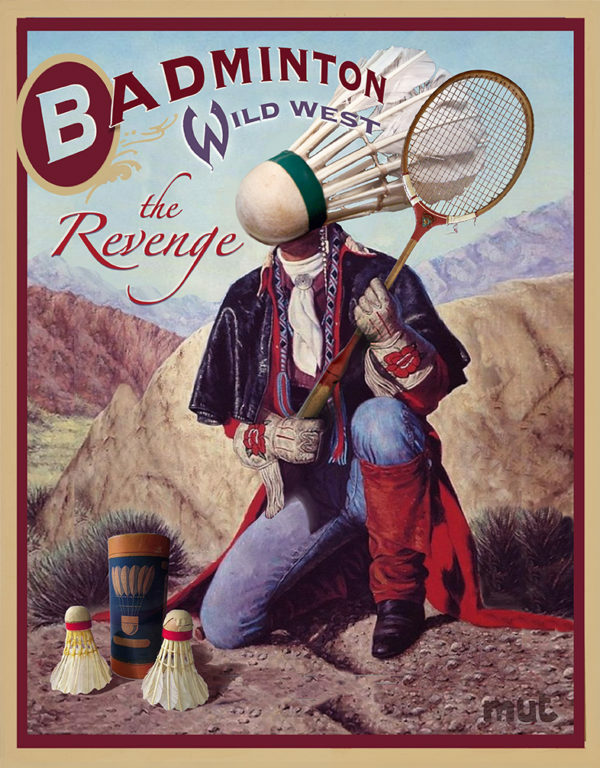 Brandpowder was recently hired by the Badminton West Club of Santa Barbara. The brief was to relaunch a sport that’s on the brink of extinction. The new generation is looking at badminton as a sport for fairies. It lacks the testosterone of rugby, the fame of football, the fun of snowboard and the money of golf. Badminton, according to a marketing research by KP Trends, is considered a “bucolic amusement for British old ladies on a zany afternoon”. There’s no way you can seriously convince teenagers that badminton is fun, not to mention cool. So we focused on surreal humour, borrowing from the Buffalo Bill mythology and Wild West style to wrap this sport with a flavor for adventure. Our creativity brings along also a social message: we portrayed a world where rackets and balls replace rifles and bullets, and Indian chiefs turn into metaphysical creatures that stimulate our fantasy. 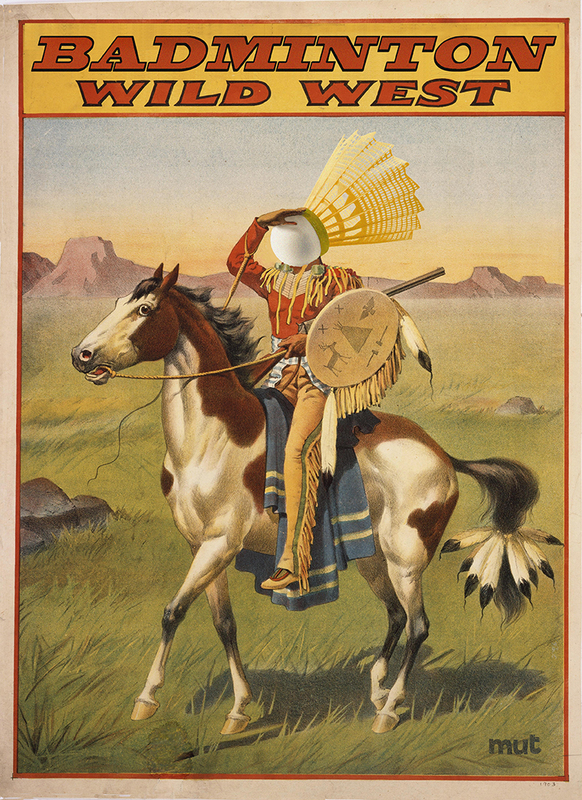 The client was enthusiastic: “These posters are like Good Ol’ Time Advertising!” – he said with a broad smile. Soon after release, the campaign brought the results we had hoped. 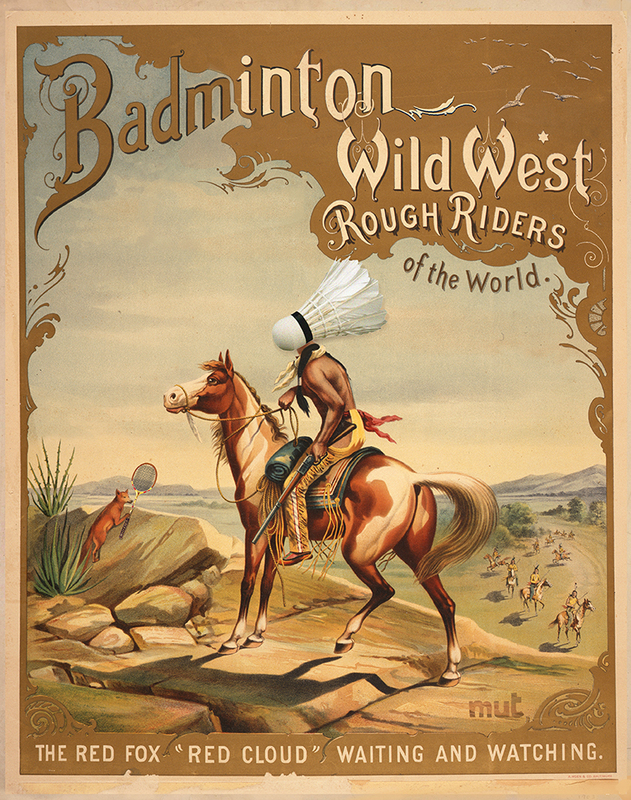 The Badminton West Club of Santa Barbara jumped, in six months, from 1,500 to 9,000 members. Badminton is cool again!